10% discount off of our hourly rate - Other special offers and discounts are available. OUR COMPANY HAS A SOLID REPUTATION ! 600 GOOGLE REVIEWS 5 STAR ! – Your satisfaction is our top priority! Please note: We do NOT provide free quotations! Our fixed-fee quotation is £130 with NO CHARGE for parking or congestion. 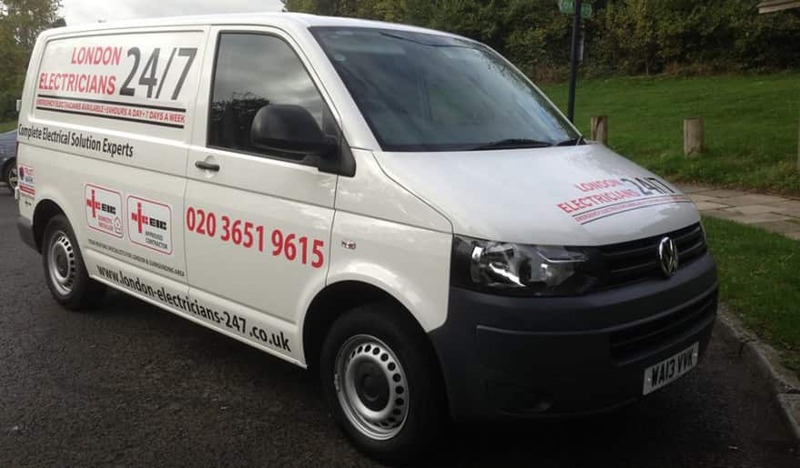 We have been operating for over 20 years here at London Electricians 24/7 and are here day and night to provide you with an emergency electrician service. 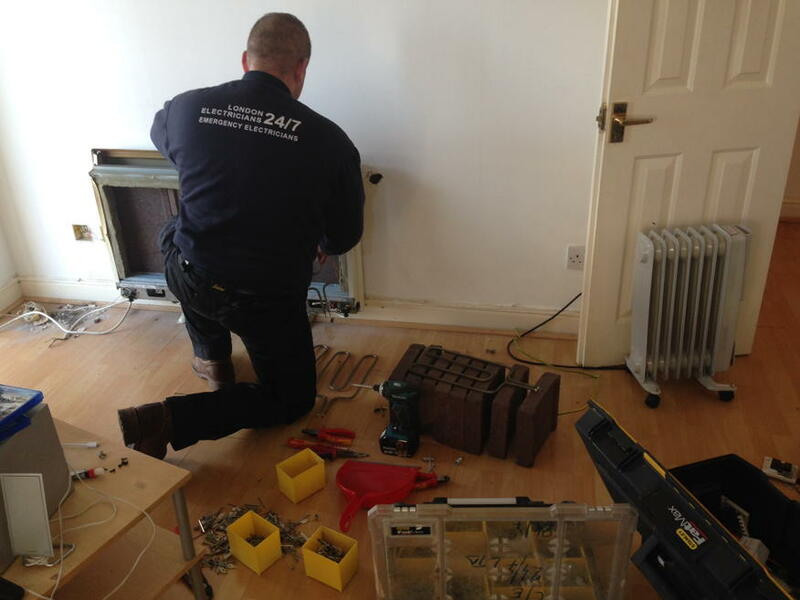 When you are faced with an electrical emergency, we know how vital it is for you to have a team you can rely on to attend to your problem as quickly as possible, carrying out repairs in the shortest possible time. 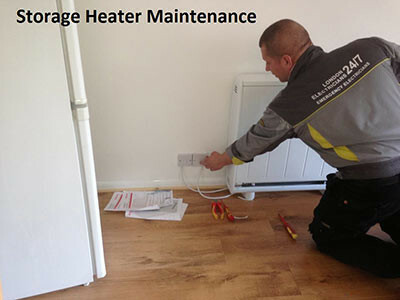 Here to attend to any type of electric issue you might be experiencing from tripped circuits to storage heater faults, we can fix any fault, and leave you feeling safe and satisfied with the level of work afterward. Let us attend to your home or business and we’ll soon find the cause of the problem and provide you with a quick and cost-effective fix, that’s fully guaranteed. 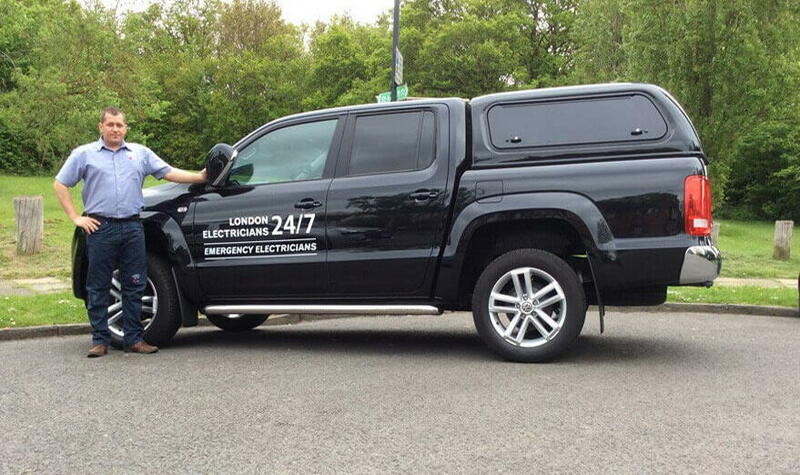 You can have faith in the quality of our services here at London Electricians 24/7 and can rely on us to provide emergency services in your hour of need. We only employ skilled NICEIC registered electricians who are vastly experienced and familiar with all types of electrical systems. They are fully qualified, hold numerous certificates, and we are proud to have multiple accreditations, which places us in a strong position as one of London’s leading electrician services. Our highly skilled electricians are competent, reliable and work with the greatest efficiency and competency at all times. 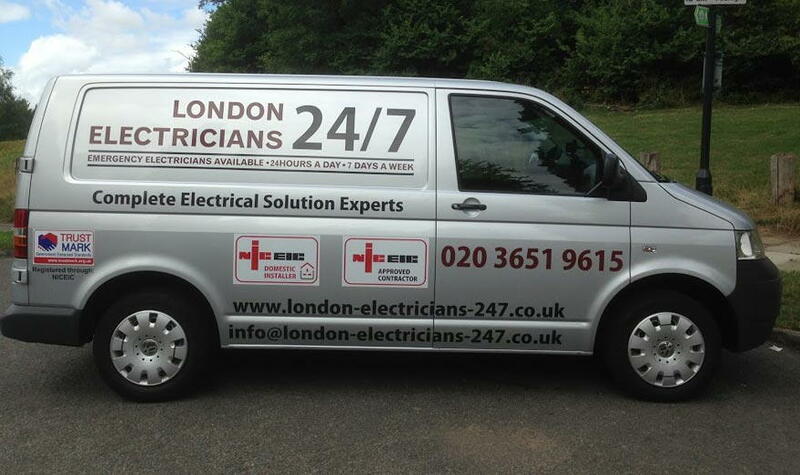 Should you require an emergency electrician in Islington, Kensington, Camden or Hackney we are sure to have the ideal tradesmen and offer a critical service at the best possible price. Covering North, South, East and West London, and completing work in the city centre and around the whole of the M25, we offer an all-encompassing solution for the convenience of our customers. When you hire us for any type of electrical work we deliver the same high level of standards of workmanship for every project, whether this is for general electric quotes or emergency electrician services. Whatever the emergency, we’ve got you covered, and provide a friendly and efficient service at a very reasonable price. Simply call us today and leave everything in the very capable hands of our emergency electricians, we’ll soon have your electrics back on track! 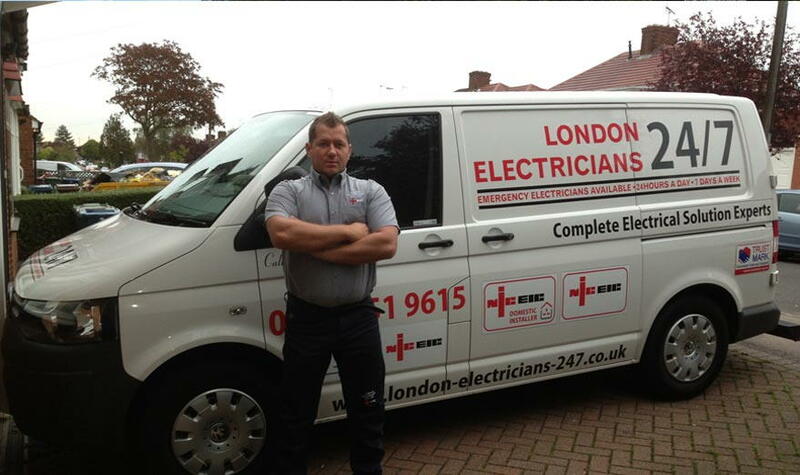 Need an emergency electrician in North, Central, West, South or East London? We operate throughout all of the following London areas and you can contact us for the best price for any type of electrical work by calling us today on 020 3651 9615. Camden Enfield, Finchley, Hackney, Kentish Town, Islington, Watford, Edgware, Hampstead. Sidcup, Romford, Dagenham, Plaistow, Ilford, Bow, Est ham, Manor Park, Clapton, Stratford. Battersea, Bexleyheath, Bromley, Clapham, Croydon, Kingston, Putney, Richmond, Sutton. Kensington, Chelsea, Chiswick, Ealing, Hammersmith, Hounslow, Kew, Reading, Wandsworth, Acton. Aldgate, Covent Garden, Westminster, Bank, King Cross, Euston, Farringdon. We also cover m25 area of London , 7 days a week . Very professional and high quality service from Andrei and his team.Andrei and his team recently completed a large amount of electrical work at our new property (correcting the poor existing electrics that were causing our power to cut).We were charged as quoted, with the team working extra hours (on a Friday night) to ensure the job was completed on time. I have to commend the quality of the work completed, something Andrei clearly takes great pride in.I would use again and recommend to others.Thanks! Great same day service and value. 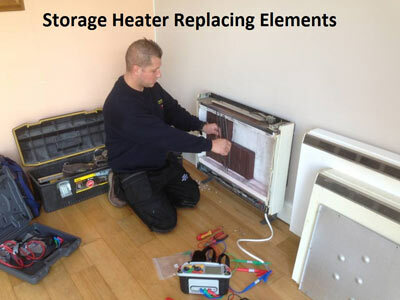 Fixed malfunctioning storage heater. Andrei friendly and informative, would highly recommend. 1/2 emergency work.. I am really happy to be served by him. I am going to call him again if things are needed for any electrician work. Excellent job!! Highly recommended - Excellent service on multiple occasions. 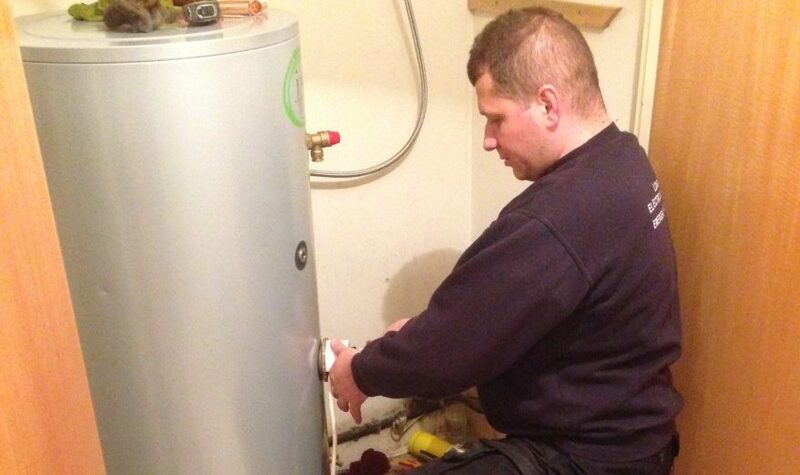 My electric hot water boiler was faulty and I called multiple plumbers to come and look at it - This company fixed it quickly and efficiently, replacing the timer, the thermostat and the elements. 8 months later one of the elements played up and they came over the same day to get it fixed, all covered under their guarantee. Many thanks! We start and finish 430 jobs and we received 430 positive google reviews 5 STAR .